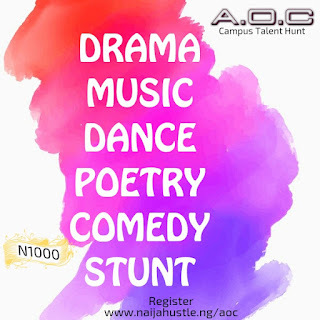 A.O.C is a campus talent hunt created to discover talent at the tertiary institution level, majorly in the areas of Music, Dance, Drama, Poetry, Comedy, and indoor Stunt. 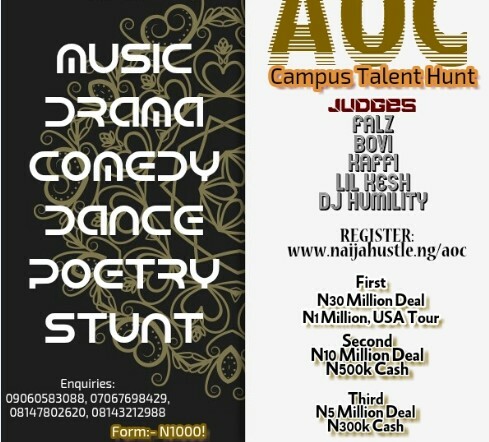 The contest is opened to students in all tertiary institutions in Nigeria. 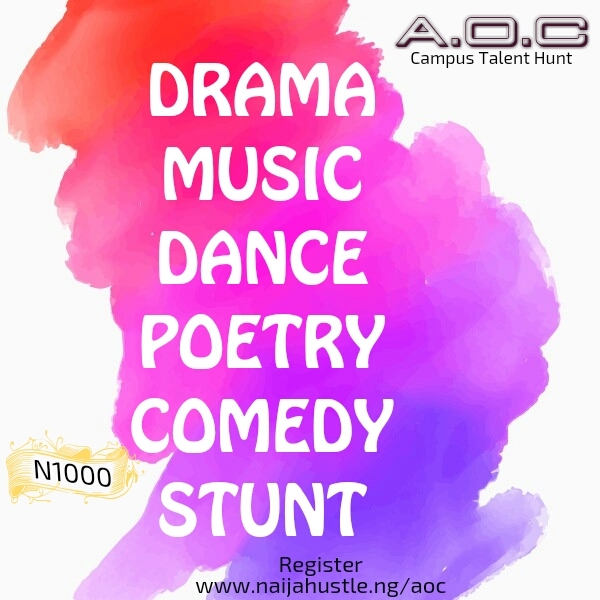 The application form goes at a highly subsidized price of N1, 000 and is non-refundable after pay. 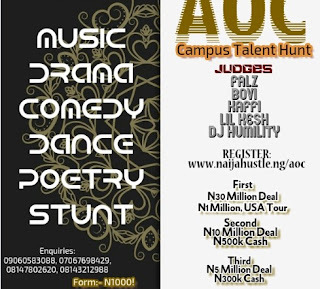 Applicants show follow @9jahustle social media platforms and/or contact numbers on the flier for further details. 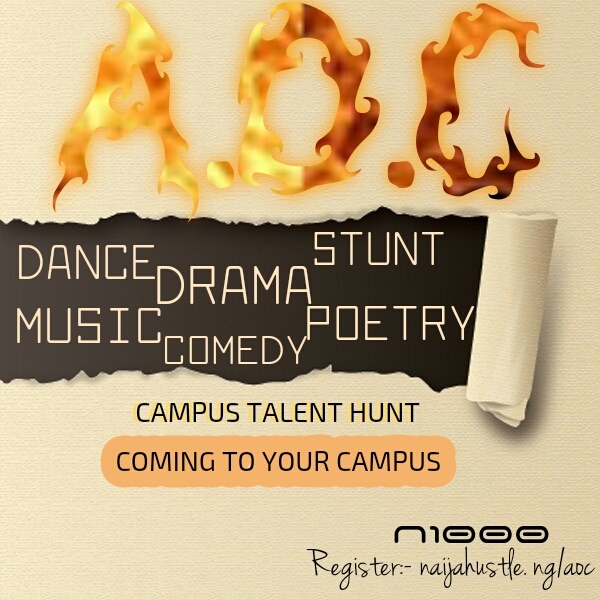 winner, there are consolation prizes for everyone who participates in the competition. 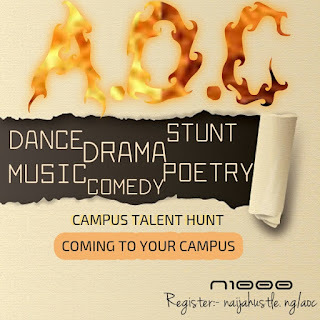 with vibrance, high morale and a strong enthusiasm to take good advantage of the new world they will be exposed to".